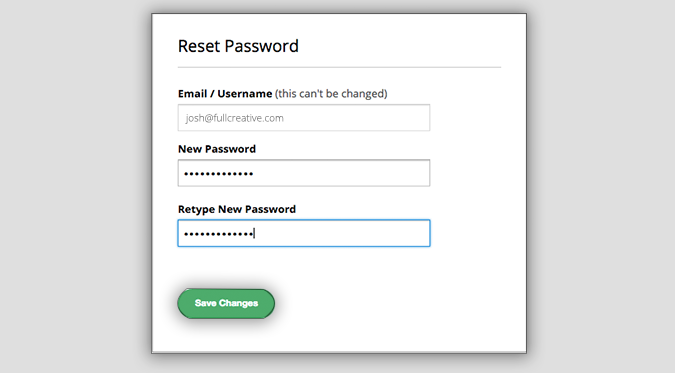 Get a password reset email in just a few steps. No matter which apps you use, it's always a good idea to change your password every six months as a minimum. Also if you happen to forget your password, Setmore offers a standard recovery method for retrieving and updating your password. We'll cover both methods below. 1. 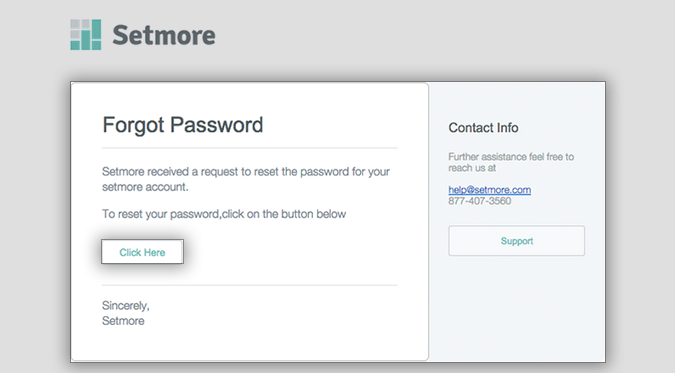 On the Setmore sign-in page, click the link that reads "I forgot my password!" below the Sign In button. 2. Next you'll be prompted to enter your account email address, and to specify whether you have an administrator or a staff account. Once everything looks good, click the "Send me reset instructions" button. 3. You'll receive an email that includes instructions on how to reset your password. Click the call-to-action button to proceed. 4. A new webpage will open where you can enter new password information. 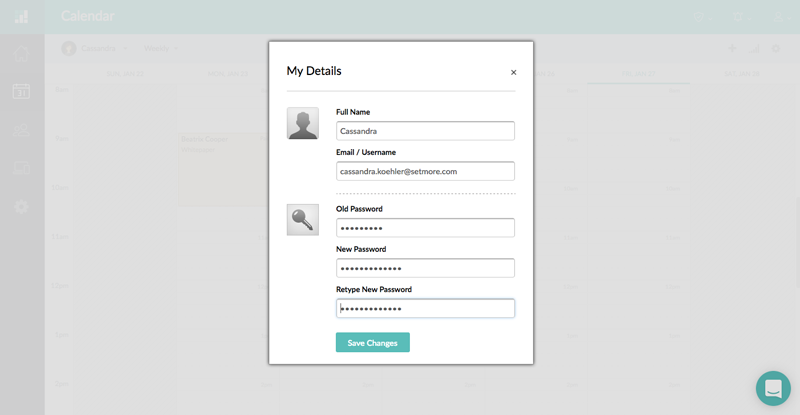 Complete the process to change your password, then sign in with the new password. 1. Inside your account, click the Profile button in the top-right corner and select your username (it will be the very first option) from the dropdown menu. 2. In the My Details window, click the "Change My Password" link. 3. In the next window you must enter your currentpassword, and then specify a new password. Click "Save Changes" when everything looks good. Your password is now updated.